The Kundalini rises in the Sat Sangat, the True Congregation; through the Word of the Guru, they enjoy the Lord of Supreme Bliss. Imagine that your hearing was so good you could hear grass grow. Or that your sight was so powerful you could see all the planets in the solar system. Well, studying an ancient Indian form of yoga, known as Kundalini yoga, might possibly provide you with these powers. 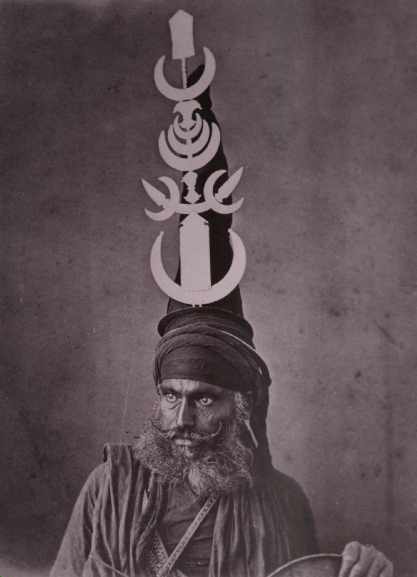 The word kundalini literally means 'coil'. Kundalini practitioners believe that there is a vast store of 'vital energy' (suskshma Prana ) that is coiled like a sleeping snake at the base of the human spine. In order to awaken the kundalini, the yogi must go through a series of strict physical and mental exercises in which he learns to control his inner energy, his breathing and his senses. Once the Kundalini is woken, a process is unleashed in which the yogi can achieve a deep awareness of cosmic and bodily energies. This can lead to a transformed state of mind and body, and a heightened state of bliss. Ancient texts compare the heightened state of consciousness achieved through kundalini yoga to supernatural powers, or siddhis. Siddhis may include the power to grow to an immense size, so big that you can see the workings of the solar system. Or the power to achieve supernatural hearing, so great that the yogi can hear grass grow. 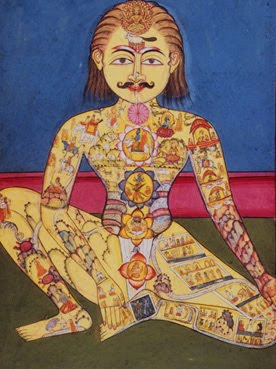 In this 19th century illustration the chakras and the dramatic workings of the universe are mapped out on to the body of a yogi, indicating the relationship between the human body and cosmic space. Practitioners of Kundalini Yoga believe that the body contains a complex network of Nadis. 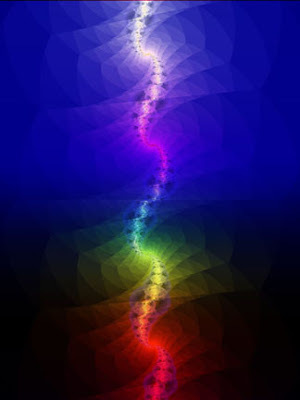 Nadis (from the Hindu word nad meaning motion) are astral tubes which are thought to carry psychic currents. The most important nadi is known as the Sushumna which runs along the central canal of the spinal column. Situated along the Sushumna are the six main chakras (literally meaning wheels or circles) which are central vessels of vital energy. The chakras are shaped like petalled lotuses, and the number of petals is determined by the surrounding number of nadis. 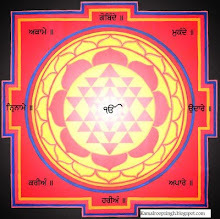 Each chakra is a particular colour, has a specific God and Goddess presiding over it, and is associated with a certain sense perception or mental faculty. A seventh chakra has a thousand petals, and exists at the crown of the head. It is known as the Sahasrara. When the kundalini reaches the Sahasrara, having travelled through the six lower chakras, the Yogi (person who practices yoga) will reach a state of Pure Consciousness. The Sahasrara is thought to be the point at which all differences dissappearÃ¢â‚¬â€œ colours, sounds, matter and spirit, still and fluid energies are all channelled into a perfect whole.